On Friday, Oct. 26, 2018, Giuseppe Castrogiovanni, 79, was peacefully called to eternal life at the Hospital of Central Connecticut, surrounded by the love of his family. Born in Leonforte, Sicily, Italy, on Jan. 3, 1939, he was the son of the late Isidoro and Maria (LaPorta) Castrogiovanni. He was raised in Italy and started his family in Brazil, before coming to Queens, N.Y., in 1970. By trade, in Italy and Brazil, Giuseppe was a shoemaker and upon arrival to the United States brought his skills to Wall Street where he made shoes for many executives and celebrities, such as Billy Jean King. In 1974, he and his family settled to New Britain and he was employed as a machinist with Aerospace Techniques of Middletown, giving 35 years of dedicated service before retiring. Giuseppe was a dedicated sportsman, as a spectator and athlete. In his younger years, he played semi-professional soccer in Italy and Brazil and continued his passion recreationally when he came to the U.S. All teams New York were his absolute favorite, especially the New York Yankees and Giants -Yankee Stadium has lost one its most loyal fans. Besides his parents, he was predeceased by a brother, Angelo. 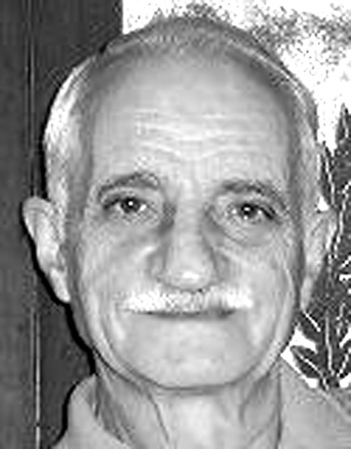 Left to honor and cherish his memory are his beloved wife of 57 years, Sirlei (Walcher) Castrogiovanni, his children, Ricardo W. Castrogiovanni and his wife, Eileen of Plainville, Eliana C. Foertsch and her husband, William of Plainville, Roberto W. Castrogiovanni and his wife, Janice of Bristol, his siblings, Pasquale and wife, Veronica of New Britain, Vera and husband, Eduardo of Brazil, Antonio of Hartford, Maria, and Gaetano, both of Brazil. He also leaves his adored grandchildren, Shannon, Jessica, Kelsey, Andrew, Nicholas, Steven, Patrick, Brianna, and many relatives in Brazil. Posted in New Britain Herald, on Tuesday, 30 October 2018 20:48. Updated: Tuesday, 30 October 2018 20:50.